since my now 2 years olds birthday is around easter i wanted to stick with an easter pastel color theme purple, pink , white ,blue and yellow . i did two different colored jar cakes for her blue, purple,yellow and pink then i did pink, yellow , blue . i decided to due a jar cake because we would be going to grandma’s and it would be more travel friendly. For the frosting, i made a batch of Buttercream Frosting. It is super easy to make and so very delicious. unicorn cake in a Jar is a unique and colorful take on a traditional cupcake. Using a box of White Cake Mix, make the batter according to the directions on the box. Split the batter into four equal portions. Color the batter portions pink, yellow, purple and pink. Pour each of the batter portions into a small cookie sheet lined with parchment paper. Bake the cakes according to the directions on the cake mix box. Make a batch of our Best Buttercream Frosting. 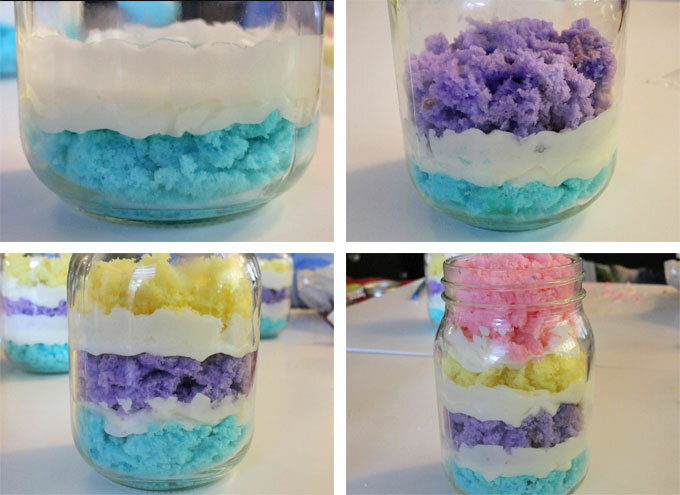 To assemble the Cupcake in a Jar – add a layer of blue cake pieces on the bottom of the Mason Jar. Then add a circle of best buttercream frosting around the edge of the mason jar. Keep adding layers of cake and frosting – we added purple cake, then yellow cake and put the pink cake on the top. For the final layer of frosting, use a Wilton 2D Decorating Tip to make a pretty swirl of frosting. We topped our Springtime Cupcake in a Jar with sprinkles. 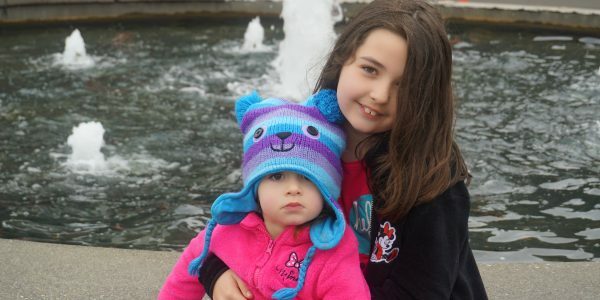 hello everyone my name is melissa , i am a single mom of 2 i love to bake and travel around the world with my 2 girls. thanks for coming by ,being apart of my community .